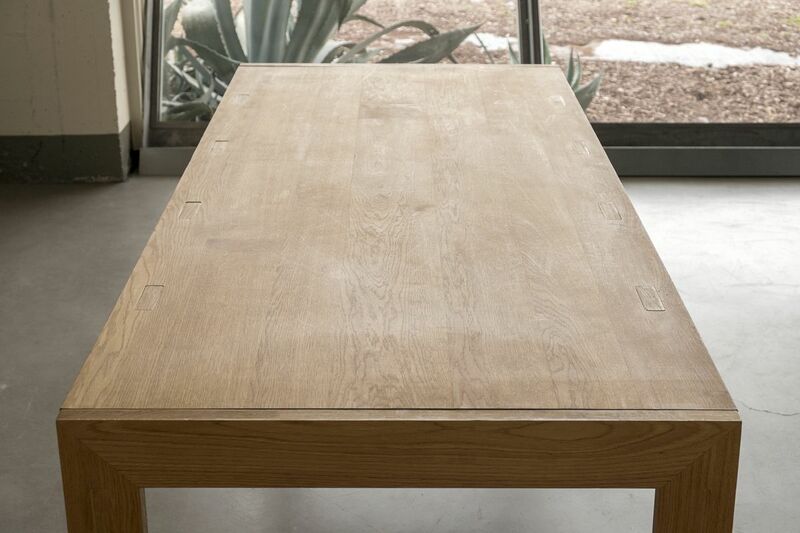 Wooden Table. 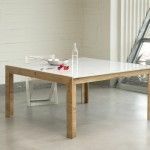 These tables are made of oak or multi-layered Finnish birch wood. 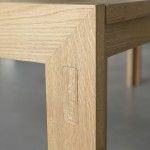 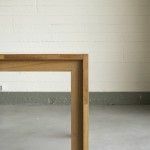 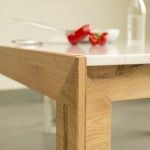 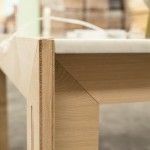 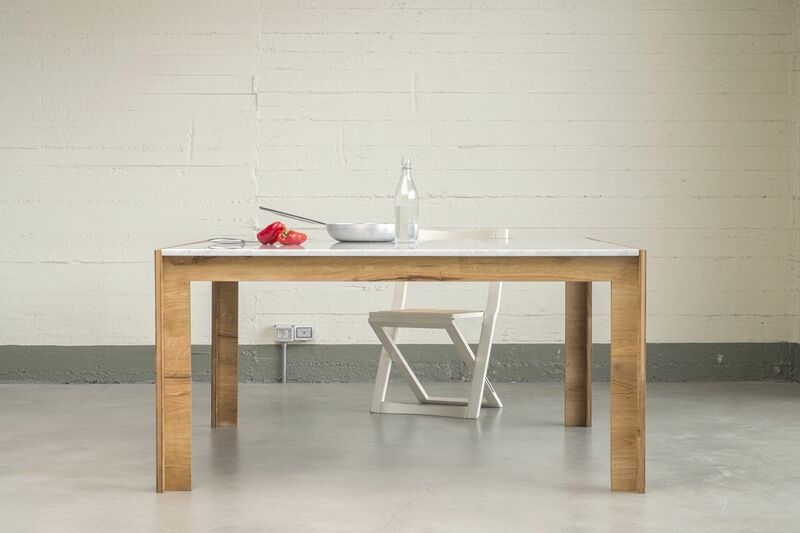 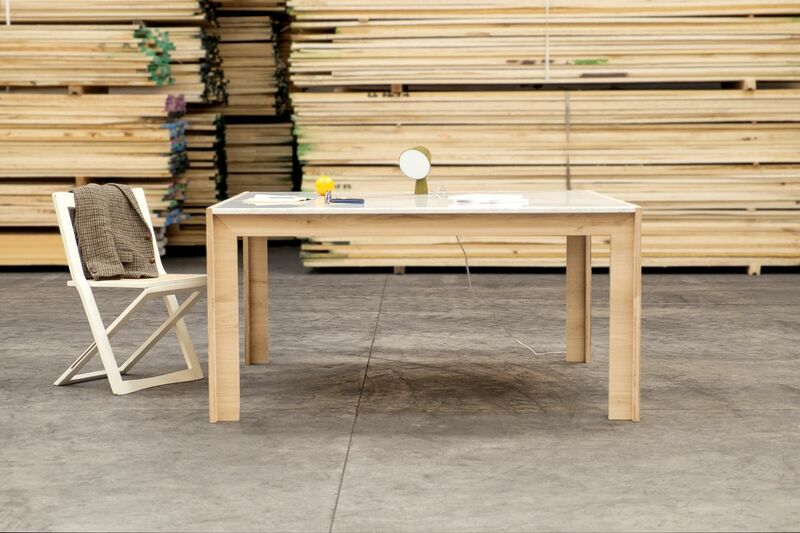 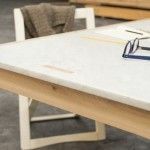 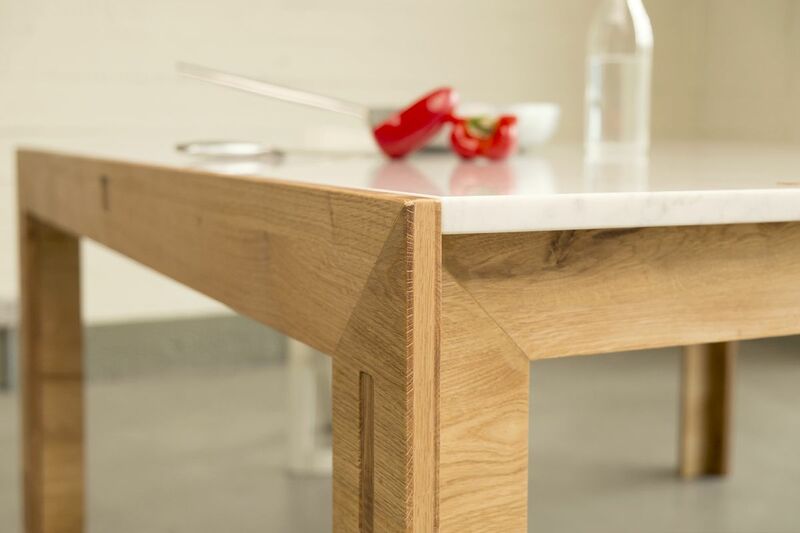 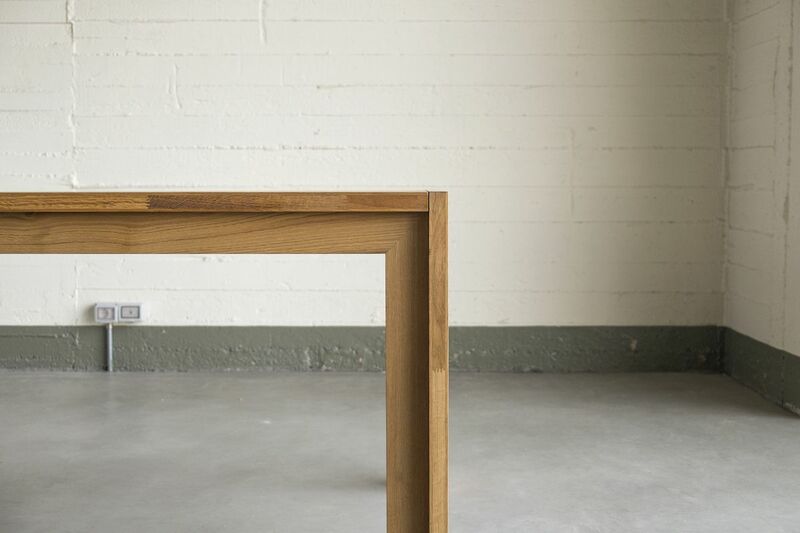 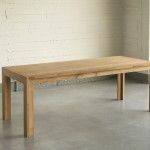 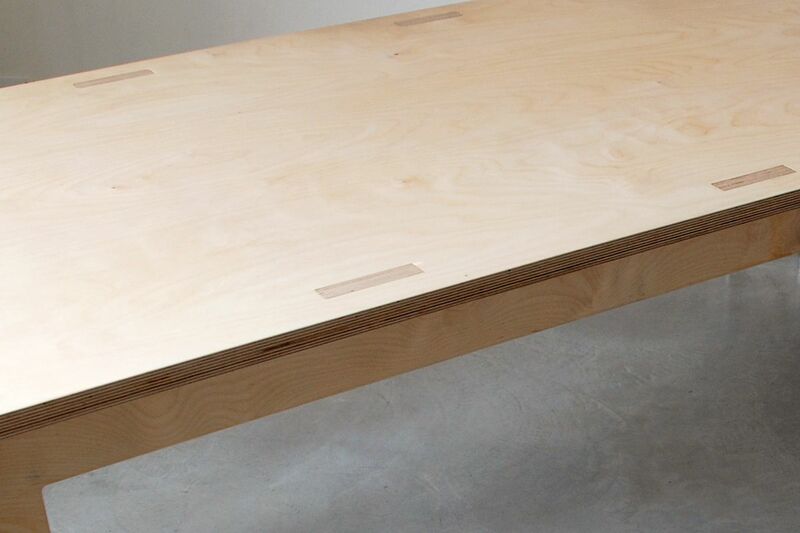 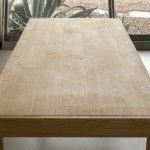 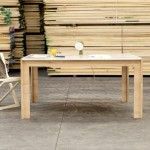 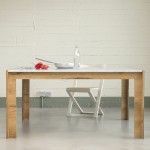 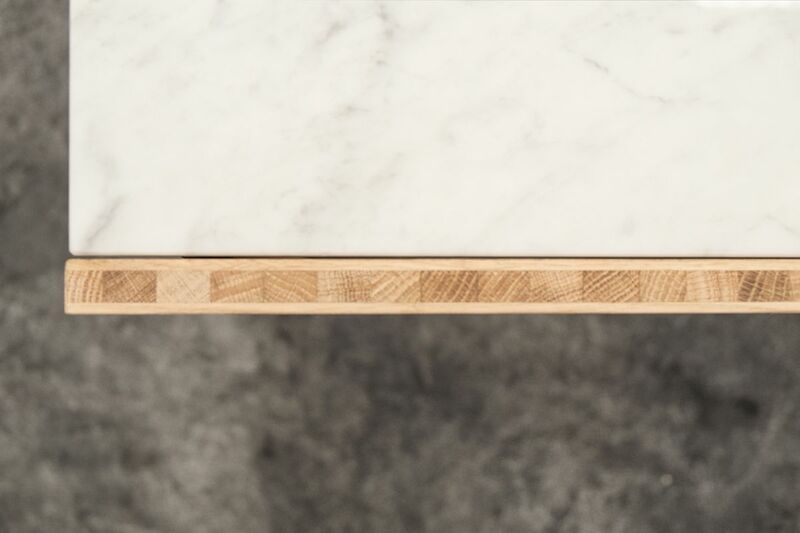 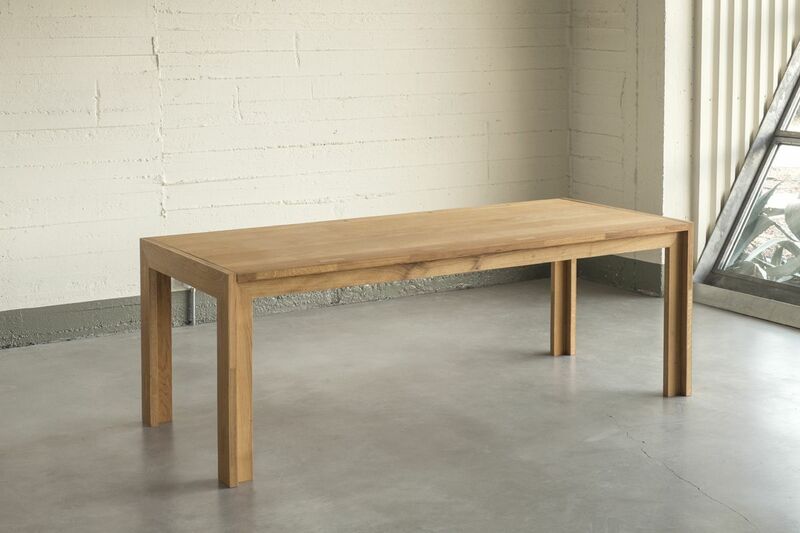 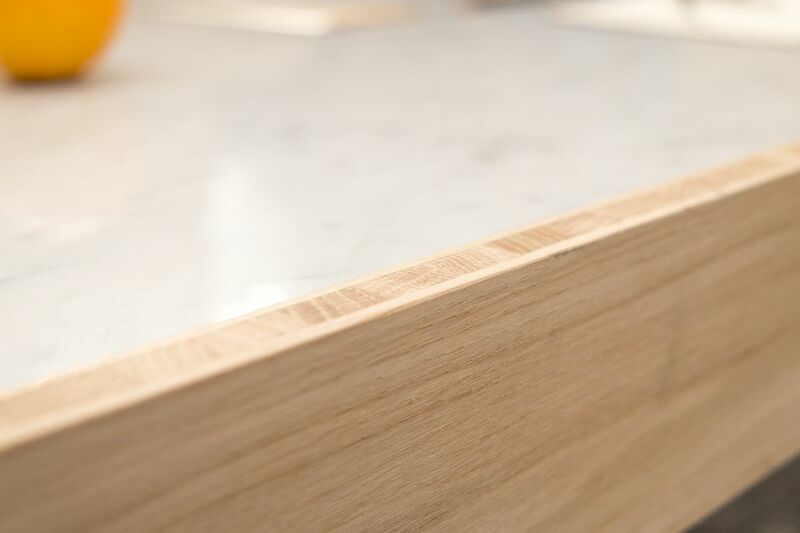 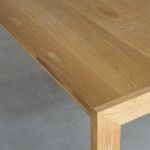 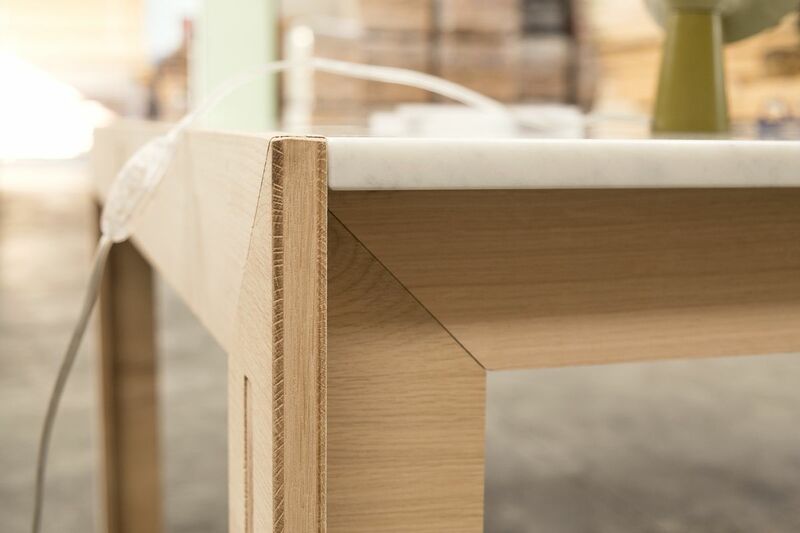 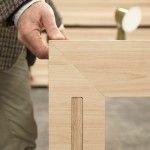 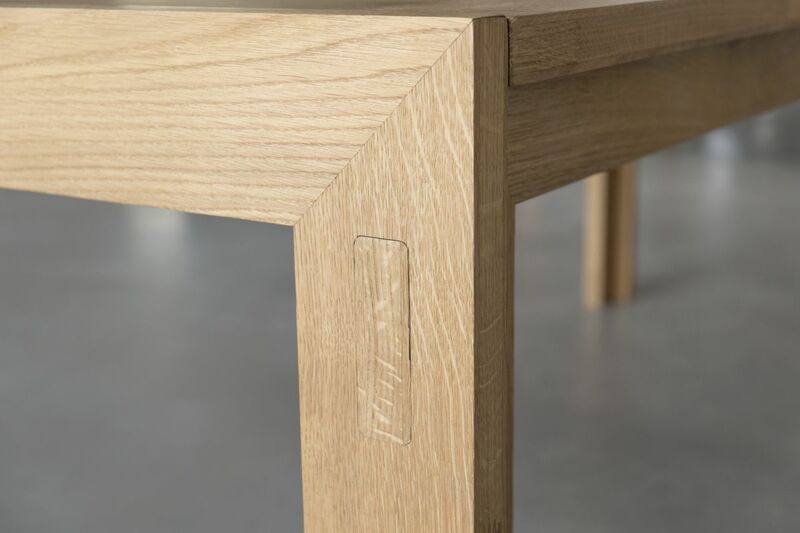 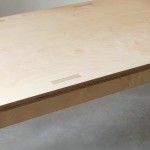 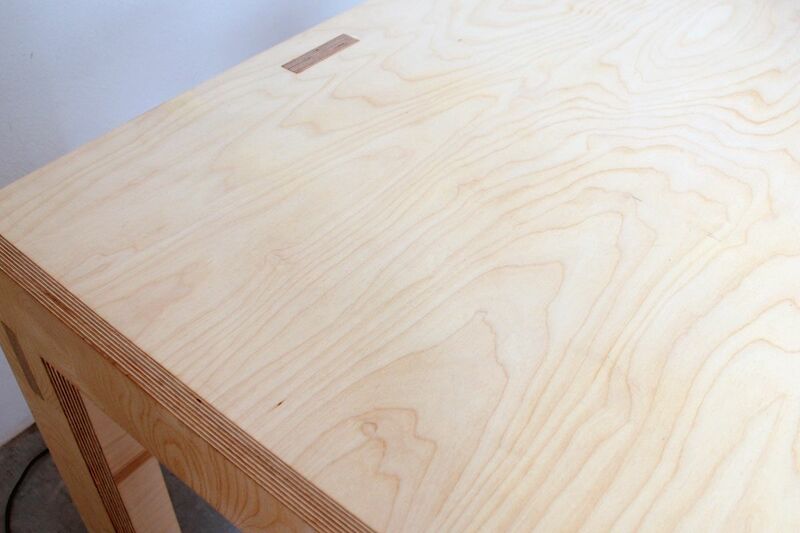 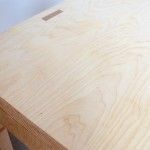 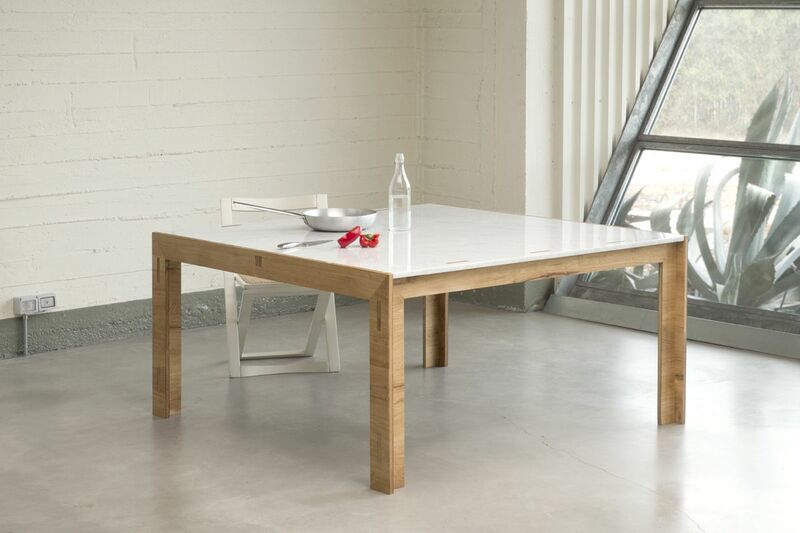 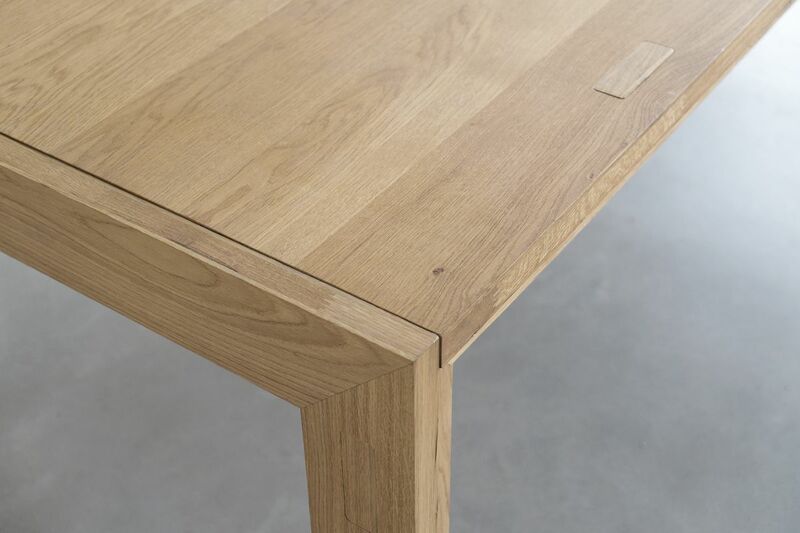 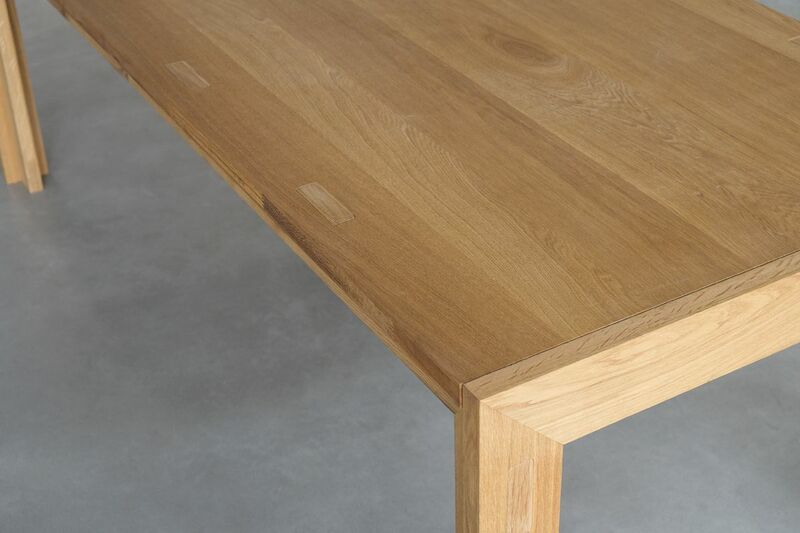 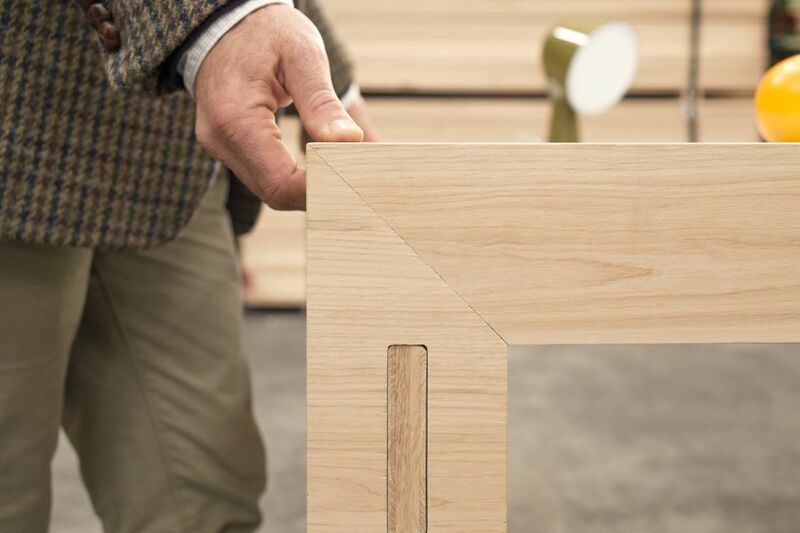 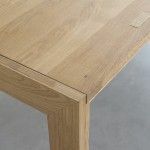 The table parts are linked by a joining system of wood to wood that allows for simple intuitive assembly without the use of hardware items to enhance the characteristics of the materials employed and to create a minimal look. 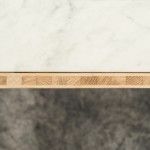 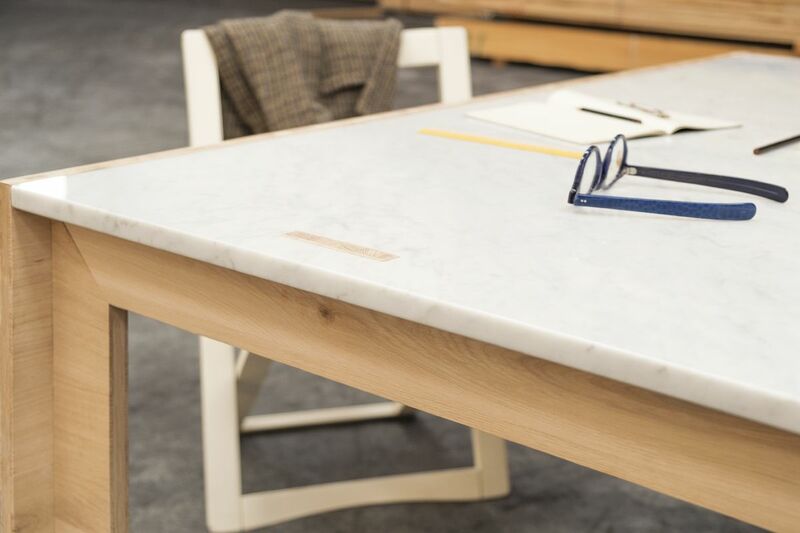 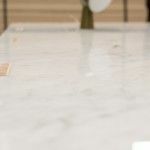 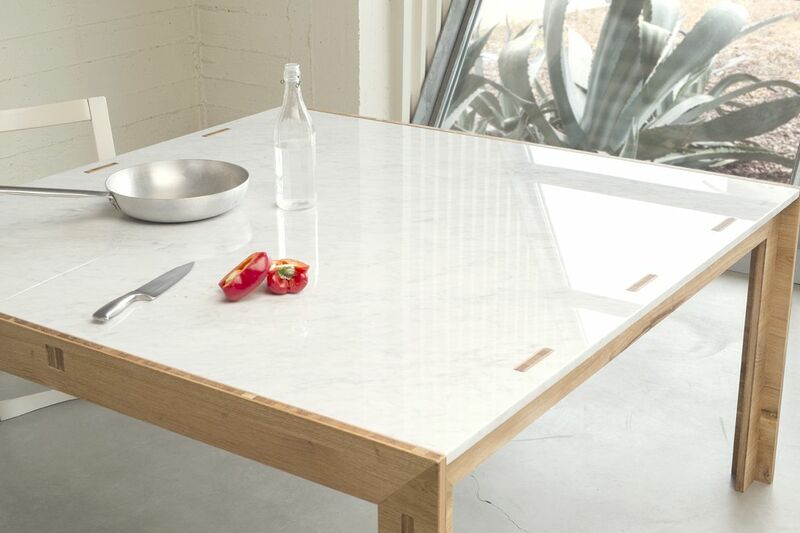 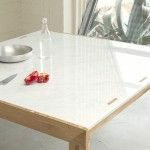 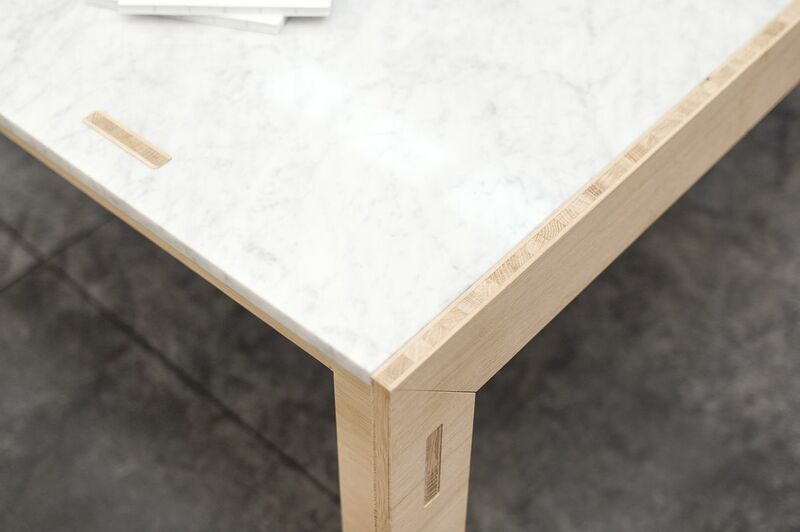 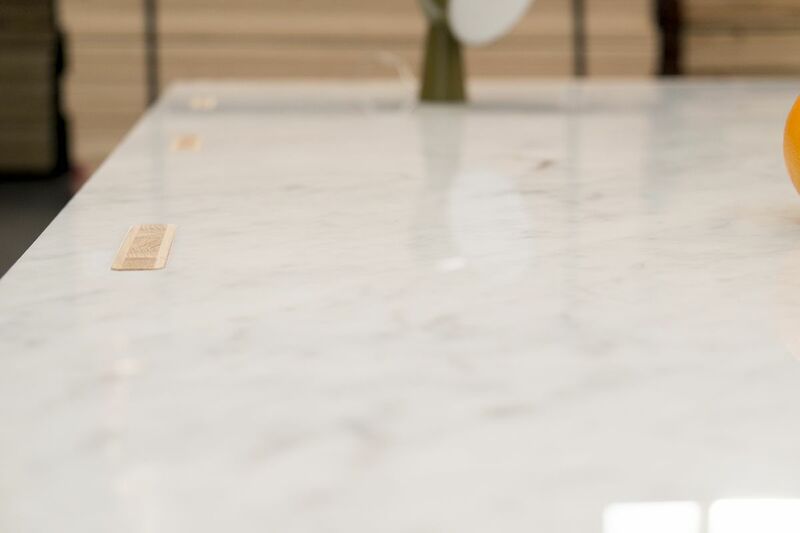 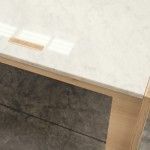 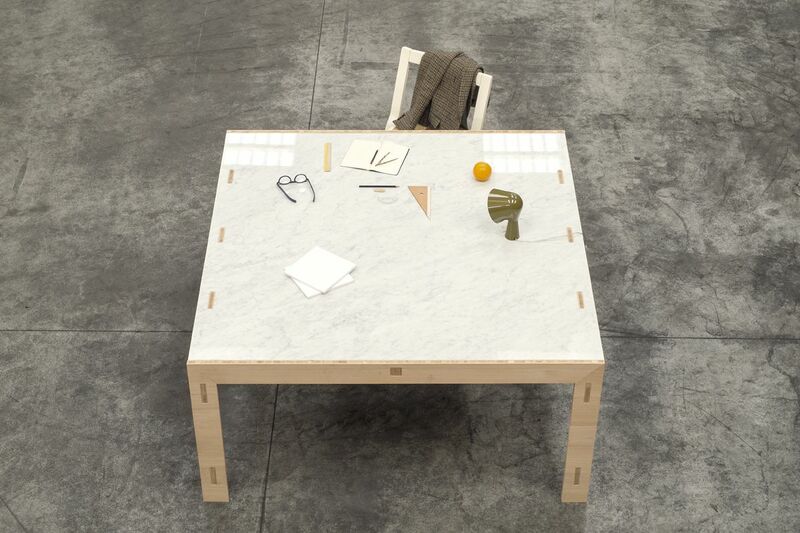 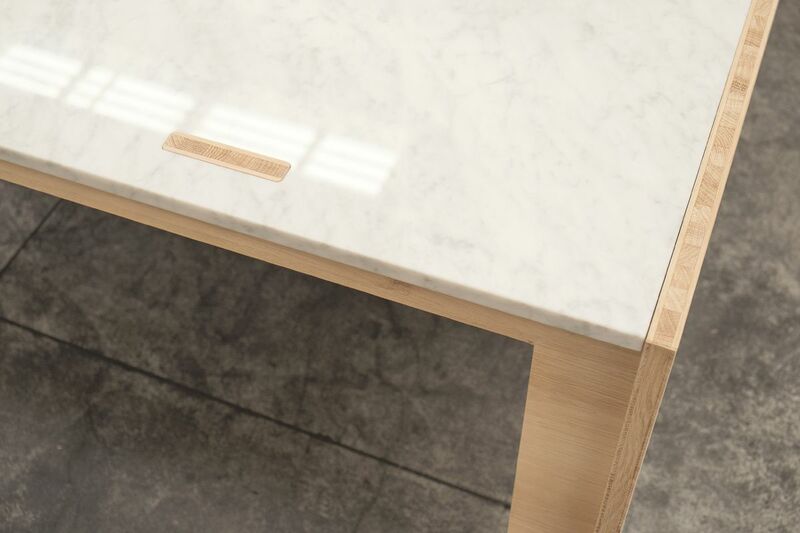 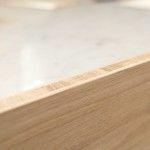 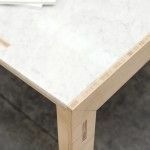 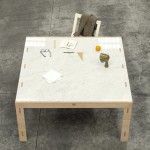 The tables can be made entirely of wood or of wood with a white Carrara marble top, which is available as a square or as a rectangle in different sizes, and which can also be made-to-measure.